Compact MPVs have been around for years now but the even smaller supermini-MPV is a newer phenomenon. Obviously the focus of a people carrier is to do just that – carry people. So what is the point of having a really small one? 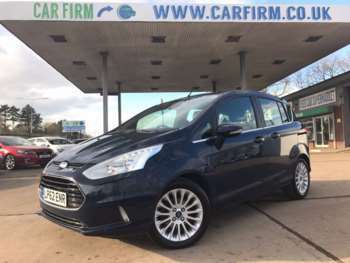 Most makers of supermini-MPVs kind of cough and look away when tackled on this issue and it is hard to think of this class of vehicle as anything other than a kind of over inflated supermini, which adopts the looks of an MPV as more of a fashion statement than anything else. It's often questionable whether they actually offer any significant increase in utility over the standard vehicles. 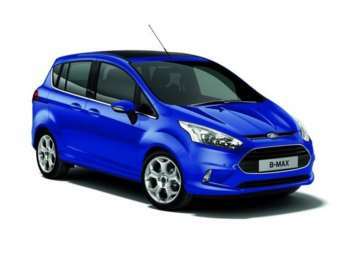 But the Ford B-Max might just convince the doubters. With sliding rear doors the B-MAX is already unique in this class. 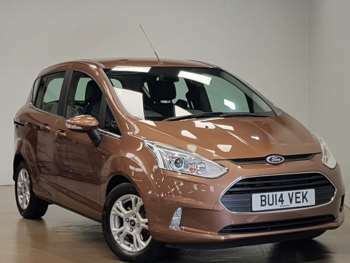 Ford has also removed the B-pillars from the car which gives unrivalled ease of access for passengers. 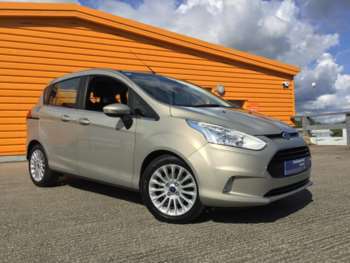 Ford are aiming this car at the customer who wants genuine MPV practicality but in a smaller package that is easier to park and cheaper to own. 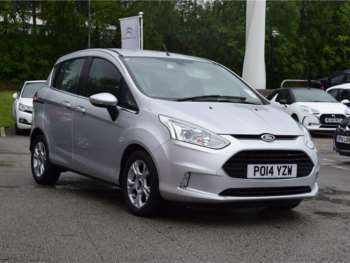 Ford has been innovative under the bonnet too, where an optional three cylinder 1.0-litre EcoBoost petrol engine will give those frugal diesels a run for the money. Those requiring at least four cylinders are offered a choice of 90PS 1.4 and automatic-only 105PS 1.6-litre petrol engines, or 75PS 1.5 TDCi and 95PS 1.6-litre TDCi diesels. Outside, the designers have done a good job in disguising the potentially awkward body shape demanded by a tall car on a short wheel base. Inside, the practicality offered by those wide opening doors is added to by the option of a fold flat front passenger seat. 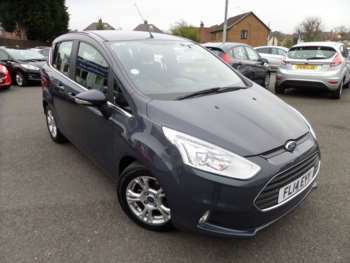 This is ideal for lugging larger items and the 60-40 split folding rear seat adds to this flexibility. A nice touch is the adjustable boot floor which lets you have a completely flat load space with the seats down. 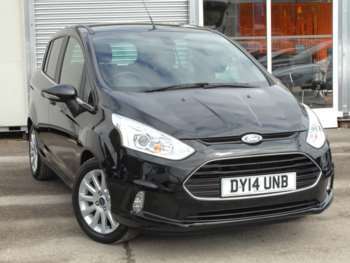 A full 12cm height advantage over the Fiesta on which this car is based gives the driver a commanding, elevated position. 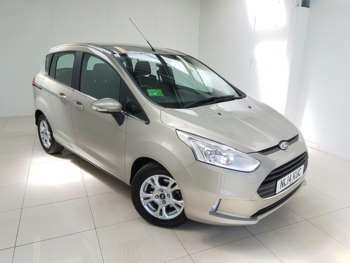 The entry level models are fairly Spartan but some 60% of these cars are being sold new in Zetec trim which offers more creature comforts and is a better option for the used Ford B-MAX buyer. 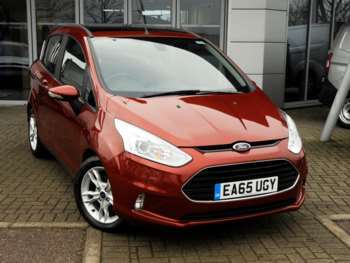 These cars were launched in the autumn of 2012 so you are not going to see many very cheap examples just yet. 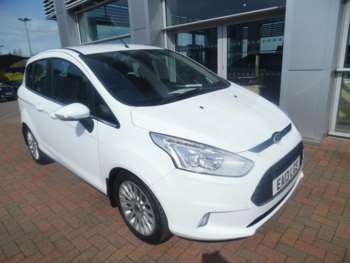 Expect to pay around £12,500 for a 2012 1.4 petrol in Zetec trim or £15,000 for a 1.6 Tdci Titanium diesel model of a similarly recent vintage. Being only a few months old, these cars still have the balance of the manufacturer's warranty and problems are likely to be few and far between. Simply check for the usual urban bumps and scrapes and for interiors that have been given a rough ride by the previous owner's little angels. With Ford's warranty still in place, the cost of parts isn't likely to bother you for a good while yet. But when it comes time, Ford parts are plentiful and relatively inexpensive. Expect to pay around £30 for front brake pads and £20 at the rear. A full exhaust system will blow around £170. Ford cars across the range have a great reputation for driving quality and a large part of that is down to Ford's ability to turn out stiff chasses. So when you notice the absence of B pillars on the B-MAX you might think that they must have lost some of that stiffness. In fact Ford has hidden the B pillar inside the door frames, so all that chassis stiffness is retained. The suspension is supple and well balanced and manages to provide a superb combination of abilities, soaking up those uneven urban roads yet controlling body roll on winding country roads. 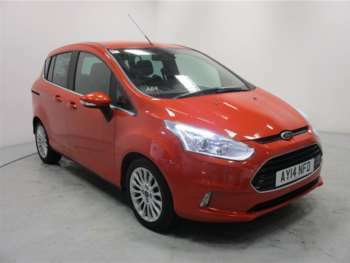 The torque vectoring system controls the handling when you throw the used Ford B-MAX at a corner and the power steering is well weighted to provide decent road feel. Performance is acceptable rather than brisk but then again people do not buy these cars to enjoy a track day. 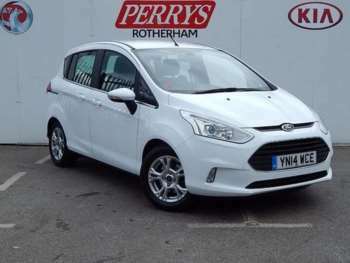 Overall, Ford has delivered a very competent supermini-MPV and those innovative doors add a level of practicality absent from its competitors.